No like RD your just making numbers up. Not reasonable at all. Have we ever filled Yulman? The answer is no, Ga Tech came the closest. We haven't even filled the bottom bowl.I don't understand the idea of moving ANY games to a larger venue with the abysmal crowds we have had. No matter what the actual size of Yulman, until it is sold out and there are no visible patches of open seats this is a non-starter. hopefully, WF has us on an upward trajectory which will continue. Program success, along with a conference that seems to be getting traction with the fans, will result in that ever so ephemeral goal of more actual butts in seats. But you're right, as of now scarcity of tickets at a home game is not a problem. We are not talking about the current state of the program. This conversation is about the situation where we follow up this past season with an even better season which would mean at least 8 wins and then following that up with an even better season . 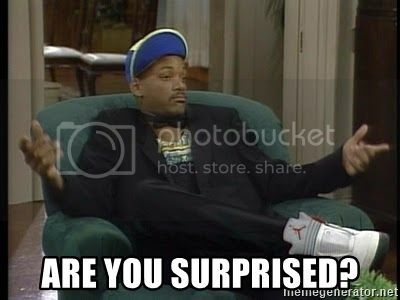 So when we hit 2021and are playing OU the game merits being played in the Dome in front of a very large crowd. BTW, it was filled for the Tech game. The only game we should play in the Dome is the Sugar Bowl. Not my first choice, but I'm cool with playing in the NOLA bowl on 'down' years. Sorry but if we have a "down" year, our record would be at such a point where we didn't even qualify for a bowl. We went to a bowl while occupying Yulman @ 7-5 and 6-6. So are those our "up" years? If so, time to reevaluate our definition of "up". 6-6 Would be a down year for TCU. That is where O want to be. We went 7-5 at the Dome and went to a Bowl. Not at Yulman. Only Tulane fans would take the gift of seven home games in order to invent s problem or desire to move games away from our stadium. If all the Tulanes of the world, we are the Tulaniest. Yes, it probably was. But there was a reason it was filled that day. A reason Tulane can't duplicate. Being the first game ever, all the alums who contributed mightily to the stadium being built and bought season tickets showed up for that momentous event. An event that happens only once. Those alums, at least the out of town ones, will show up for one game a year, more than likely homecoming. But not all of them will come in any particular year because they just can't get that kind of response for a once a year event, as opposed to a once in forever event. And while they may donate their tickets for other games, that does not mean that those donated tickets will even be used. Tulane, for a myriad of reasons, has not been able to produce a winning environment year after year, so no real consistent fandom has been developed. Then there is the LSU thing. They dominate the whole state as far as fandom goes, and that fact is not going to evaporate in any of our lifetimes. So if we have the opportunity to draw a plethora of a "'big time" schools' fans, then take it and run with it and bank whatever extra $ is produced by that shift. Seems like Economics 101 to me. Yea, you are correct wavedom. My mistake. 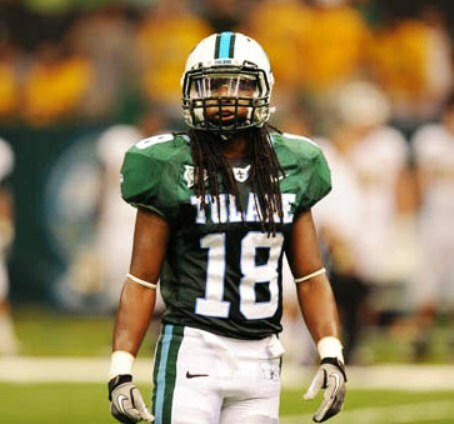 And that was the last time Tulane has played there. I was unable to attend that game because I had already made plans. I was not/am not the person who doesn't make plans because Tulane "might just" go to a bowl game in any particular year. Time has taught me that lesson. But it doesn't mean that I won't ever make any Tulane bowl game...if and when circumstances allow. Roll Wave.